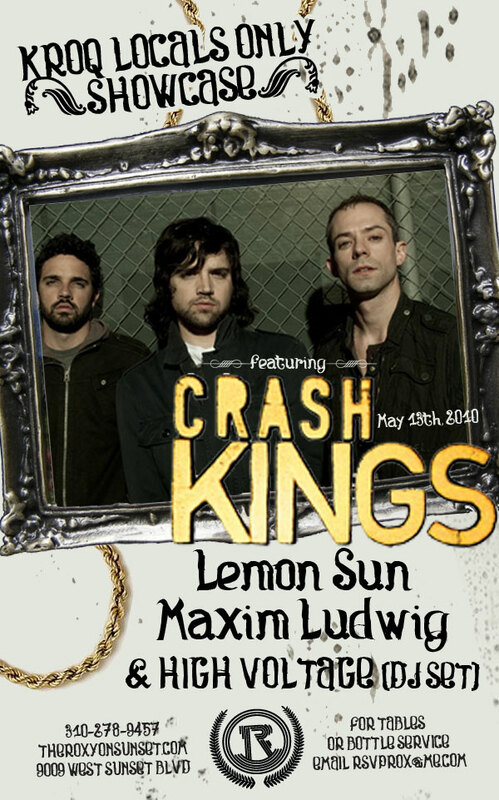 As predicted in my year end review of 2009, Crash Kings are blowing up right on schedule. They spent three weeks #1 on Alternative Radio charts and last night debuted on national TV on Jimmy Kimmel Live. Check out their performance of “You Got Me” from Jimmy Kimmel below and if you’re in LA, come see them at The Roxy on Thursday, May 13th w/ DJ High Voltage (that’s me!). 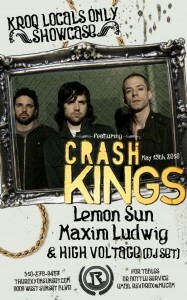 Tickets are only $10 and available by clicking here.